Your perfect wedding day awaits you and your guests at Kinnettles. 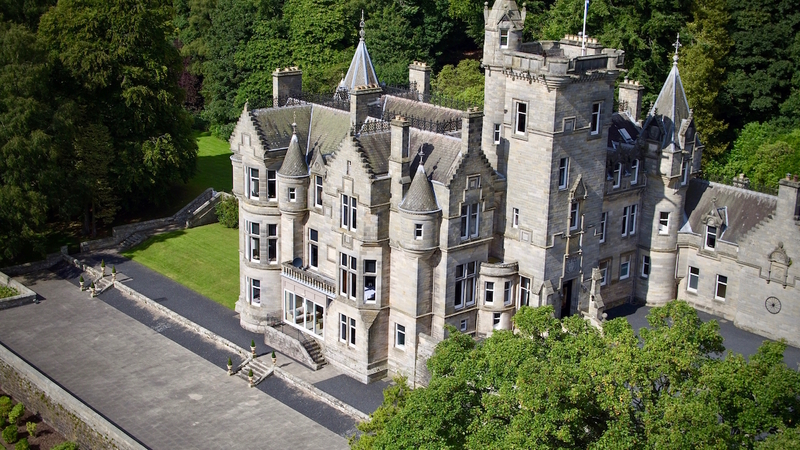 On arrival at the castle the sweeping driveway leads you to the truly breathtaking splendour of this stately home. 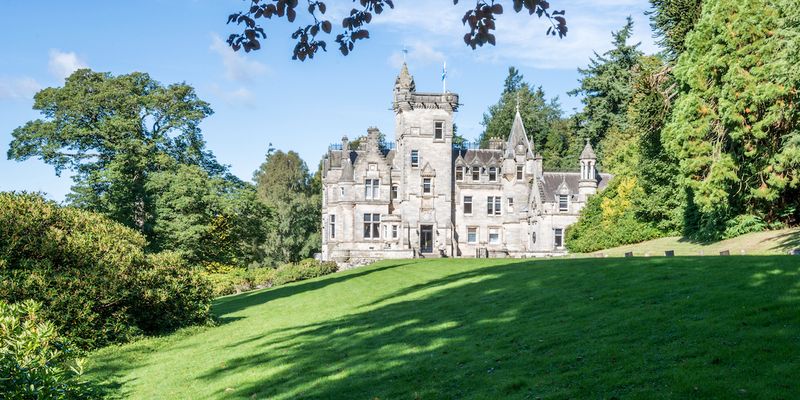 The delightfully secluded estate is set in 44 acres of picturesque rolling gardens, with breathtaking views of the local Scottish landscape which can be admired from the storybook-esque turrets and towers. Kinnettles boasts unique splendor and charm that has remained a well kept secret over time. The unspoilt views and tranquility allow you and your guests to use this mansion as your own private retreat for your entire stay. The exclusive use and privacy of the castle and beautiful grounds means that you can truly relax. 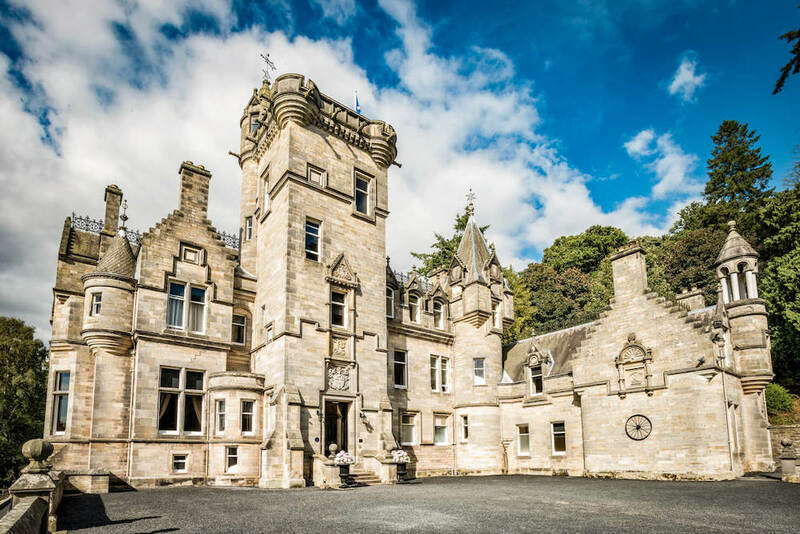 For a truly memorable occasion the castle can be booked for your exclusive use, giving you the feeling of living in luxury in your own private castle. 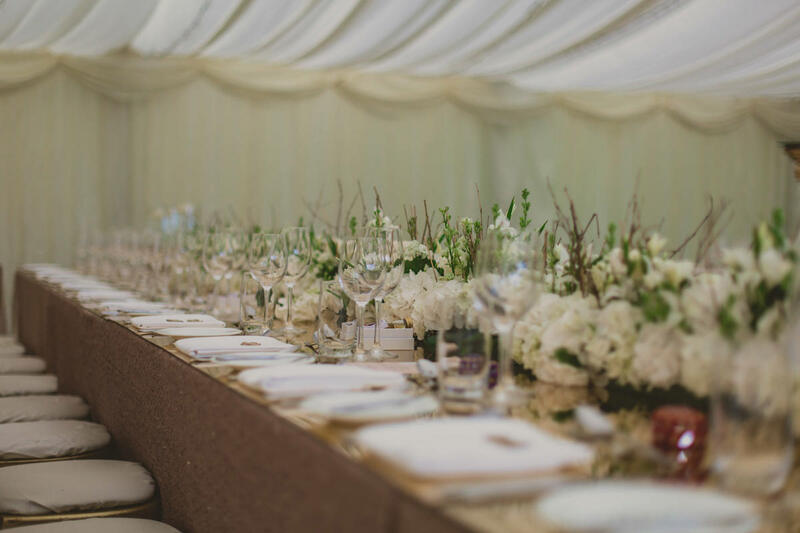 Kinnettles can accommodate your wedding ceremony either in their intimate dining room, on the outdoor terrace with stunning views over the Scottish hills or in their decadent marquee. 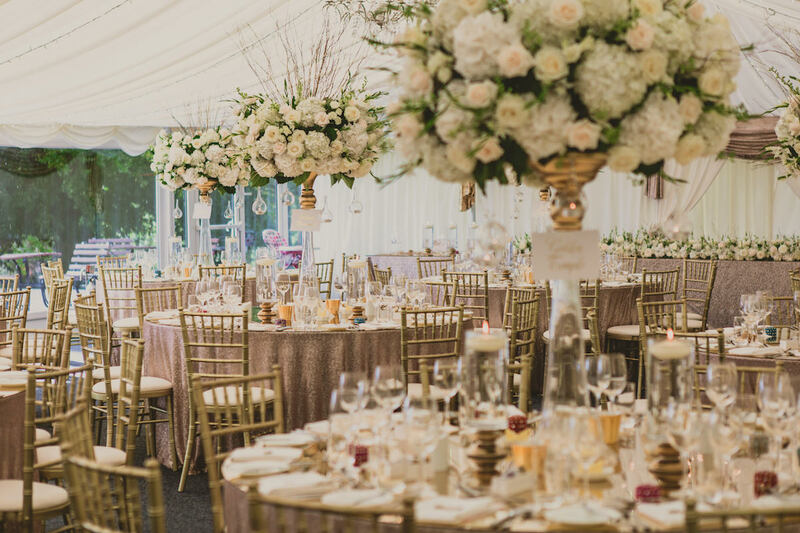 The marquee boasts a soft white interior and opulent chandeliers, a perfect canvas for you to create your own vision for your big day. 140 day guests may be seated comfortably within the marquee, with additional guests for the evening reception. Each of the options are unique and will facilitate a spectacular day.